Entering into its 5th year of charity, the Jimmie Johnson Foundation is a gift that keeps on giving. Jimmie and Chandra Johnson attend the 5th Annual Jimmie Johnson Foundation dinner auction at the Grand Del Mar in San Diego, June 21, 2011. 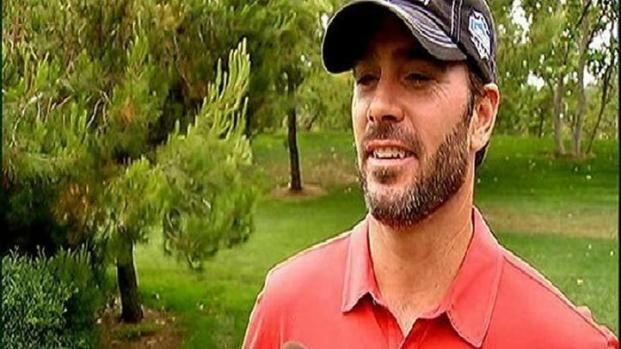 The Jimmie Johnson Foundation had yet another great victory at the Grand Del Mar Resort and golf course this week. The five-time Spring Cup Champion and his wife Chandra were on hand to help raise money for a number of charities including The American Red Cross for victims of the recent tornadoes in the Midwest. Born and raised in El Cajon, the five-time Sprint Cup Champion has been racing since he was five-years-old. Shortly after graduating high school from Granite Hills High School, Johnson wanted to continue his auto-racing career in the Midwest. Each year, the foundation’s golf tournament and auction raise over $500,000 towards a variety of philanthropic organizations, including the American Red Cross, Lowe’s Toolbox for Education, Hendrick Marrow Program, Make A Wish Foundation, and the Ronald McDonald House of Charlotte. 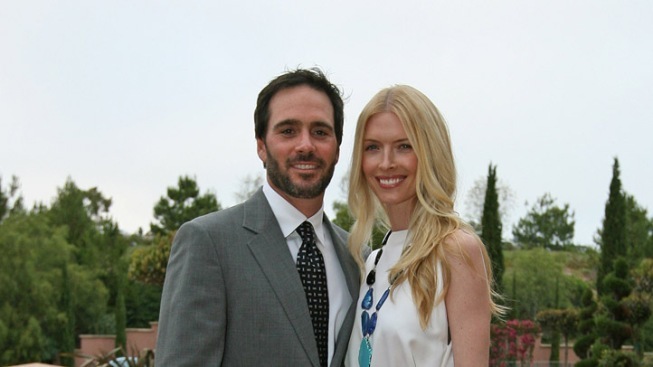 At the Grand Del Mar, Jimmie Johnson and his wife Chandra hosted their 5th annual charity golf tournament. Might the winding cart path provide a practice session for the road course? This year, the foundation will designate $10,000 towards disaster relief. Since its establishment in February 2006, the Foundation has accomplished raising over $4.1 million dollars towards these charities. 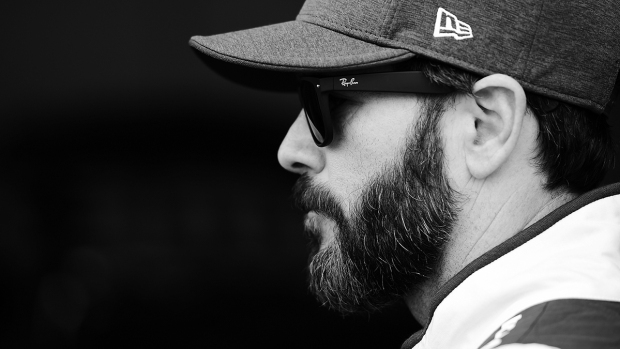 Specifically to California, the Jimmie Johnson Foundation has raised more than $1.7 million dollars towards Habitat for Humanity, and the Toolbox for Education. For additional information go to the Jimmie Johnson Foundation's website.